Dr. Milagros Castillo-Montoya, Assistant Professor in the Higher Education and Student Affairs master’s program, has devoted her career to investigating, pursuing, and implementing inclusivity and access in higher education. Castillo-Montoya’s passion for educational equity stems from her own life. A first-generation Puerto Rican, she was the first in her family to earn a college degree and later graduate degrees. Raised in a family with very little financial means, education served as her entry to a new world. The further she advanced in her education, however, the less Castillo-Montoya found other students who looked or sounded like her or who shared similar lived experiences. During her undergraduate years, she committed herself to serving minoritized students and improving their college educational experiences in the hope that it would support their retention and graduation. A graduate of Rutgers University (B.A., M.S.W.) and Teachers College, Columbia University (Ed.D. ), Castillo-Montoya’s research focuses on educational equity for historically underserved college student populations, with a particular emphasis on learning and development for Black and Latinx students. As a researcher, she is the author of an impressive body of scholarship, and her excellence in research has earned her the Emerging Scholar award from ACPA-College Student Educators International. 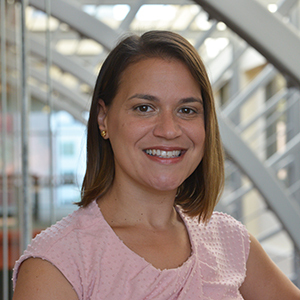 In 2016, Castillo-Montoya was the co-recipient of a grant from the White House Collaborative on Equity in Research on Women and Girls of Color. In June of 2018, she and Dr. Daisy Verduzco Reyes co-published a study about the impact of Latinx cultural centers on Latinx students’ identity development. And most recently, she is co-authoring a 2019 publication in New Directions for Teaching and Learning that explores how drawing on minoritized students’ funds of knowledge– what they know from their lived experiences– can support their academic learning. As a teacher, Castillo-Montoya is an innovator who excels at connecting research and practice. She teaches the “Leading in a MulticulturalEnvironment” course (EDLR 5126), in which students engage in equity inquiry projects in which they focus on how practitioners’ beliefs and values shape their practices in support of minoritized college students. Through this project, students use a theory to analyze their findings and inform practice through recommendations for staff and/or faculty. Students sometimes even have the opportunity to share their findings with the offices they have studied in order to help them develop more equity-minded policies and practices. Central to this course, and indeed to all of Castillo-Montoya’s teaching, is an emphasis on humanizing the many inequities that students experience on campus. She challenges her students to consider what it would mean to center minoritized students in their practice through everyday interactions as well as policies. Castillo-Montoya has a lot on the horizon: she has publications forthcoming in the Journal on Excellence in College Teaching, the Review of Higher Education, the International Journal of Qualitative Research in Education, and more. She currently serves as principal investigator for a research project entitled “Teaching Through Diversity,” in which she is investigating faculty professional development vis-a-vis diversity. Castillo-Montoya’s commitments to diversity and inclusion go far beyond the buzzwords: they are throughlines in her research, integral to her teaching, and central in her life. As the title of her co-authored 2012 article (“Thriving in Our Identity and in the Academy: Latina Epistemology as a Core Resource”) posits, Castillo-Montoya’s work aims to change the academy in ways that supports the most marginalized to thrive in their identities within and outside of the academy. This entry was posted in Faculty, News.